Nestle into Nisbet Plantation’s 30 lush tropical acres, the Caribbean’s only historic plantation inn on a beach. Located along the golden sands and shimmering seas of Nevis, swaying palms surround 36 casually resplendent Caribbean accommodations. Savor island-fresh cuisine. Explore tropical island beauty or simply sway in a beachfront hammock. Be greeted by name by our staff whose only wish is that you simply enjoy yourself and the one you are with. Let time stand still. Feel the tranquility in your soul. 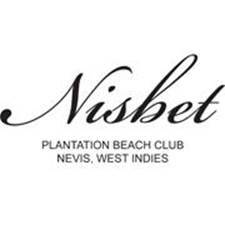 Nisbet Plantation promises you old-world charm with an authentic, unforgettable experience that is romantic and personal. 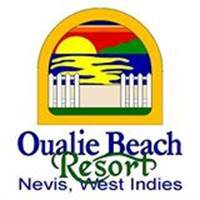 Oualie Beach Resort is a spacious, beachfront, ecologically sensitive, 3 star Nevis hotel with only 32 rooms located right on a coconut lined beach on the quiet, exotic, un-spoilt, twin island paradise of St. Kitts & Nevis. Nelson Spring Beach Resort is located on 3.5 acres of glorious coconut-palm lined beachfront property on the leeward (Caribbean) side of Nevis. Nelson Spring features 24 luxurious two, three and four bedroom condos arranged in a U configuration where each condo has expansive views of the lagoon, infinity pool, golden sand beach, the Caribbean sea and the neighboring island St. Kitts. 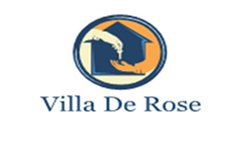 Villa de Rose is situated at 3A Borde Street in the capital city of Port of Spain, Trinidad, and is a registered and approved facility from the Tourism Development Company of Trinidad & Tobago. It is an orange blossom and white two story concrete building air conditioned with fully furnished one bedroom self-contained apartments with a modern kitchen, equipped with refrigerator, stove, microwave, television, cable, wireless internet services and telephone and self-help laundry services. Bayville is a Tastefully Appointed Self-Contained Apartment, fully furnished to a high standard and features: One (1) Spacious, Air-conditioned Bedroom, furnished with 2 Double Beds and 1 twin bed, which can sleep from 1 – 5 persons. Excellent Service, Hospitality, Honesty & Integrity, Caring & Helpful, Safe & Secure Environment. Inn A Citi Place bed and breakfast, provides great value and hospitable service; a warm and friendly experience in a secure and comfortable environment. It is a mere 6 minute drive from the historic Queen’s Park Savannah and is within walking distance of cinemas, malls, shopping, restaurants and city sites. Comfort, services and great value are reflected in our rooms, where countless family and business guests alike have come and enjoyed an unforgettable Inna Citi Place experience. The rooms are comfortable and bright and come with guest amenities. We are a Trinidad and Tobago Tourism Industry Certification (TTTIC) approved Trinidad Guesthouse/Bed and Breakfast Trinidad Accommodation (small hotel) situated close to the Central Business District in the Capital City of Port of Spain, Trinidad on the main thoroughfare of the St. Ann’s Road and only five (5) minutes away from the main shopping area in downtown Port of Spain. We are also located approximately 35 minutes from Piarco International Airport. Our beautiful B&B/Guest House and Vacation Rental offers quality rooms in a clean, safe, secure, quiet and comfortable environment for both business and leisure travellers with low, inexpensive, competitive and affordable rates starting at US$30.00 per person per night with complimentary Breakfast. The Calabash comprises of 30 suites arranged in a horseshoe shape around 8 acres of lush tropical gardens facing out towards the sea. Each suite is beautifully decorated, boasting its own balcony or patio with exquisite views of the opulent surroundings. Our 5 luxury villas sit on the hill top overlooking the hotel. True Blue Bay Resort is the perfect Grenada hotel to spend an amazing Caribbean vacation. Commanding an exquisite view of the South Coast of Grenada where the Caribbean Sea and the Atlantic Ocean meet, this Caribbean boutique hotel is set among tropical gardens sloping down to the sparkling blue waters of True Blue Bay. Our resort hotel has many different amenities and activities to suit all our guests. Whether you are looking for a family vacation, scuba diving excursion, honeymoon package or just a comfortable place to stay while on business, True Blue Bay Boutique Resort offers everything you need to fulfill your desires. 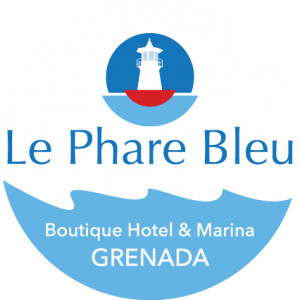 Le Phare Bleu Boutique Hotel & Marina is located in Petite Calivigny Bay, Grenada. Our eco-conscious boutique hotel and marina is the ideal location to relax and disconnect from the stresses of day-to-day life. This small beachfront hotel is independently owned and attracts independent travellers—people who like to get off the beaten track and experience something truly special. Guests are quickly made to feel at home in this village style atmosphere, which is just one reason why we are considered one of the top boutique hotels in Grenada. For the past 14 years, Laluna Resort has set the benchmark for luxury hotels in the Caribbean. Nestled into a private hillside on one of Grenada’s most secluded beaches, Laluna is an escape to a private paradise. With our tastefully appointed cottage suites, authentic Asian Spa, beachfront yoga pavilion, and thatched roof Italian restaurant, our beach chic boutique resort is the most romantic in Grenada. Nestled in the most picturesque spot on the Caribbean Island of Grenada the Flamboyant Hotel & Villas boasts lush tropical gardens, magnificent views of the world famous Grand Anse Beach and the terrain beyond the town of St. George. We pride ourselves in genuine Grenadian hospitality and the highest quality guest service. Our property features comfortable accommodation facilities, delectable cuisine, an amazing nightlife and the ultimate dive experience. So, we welcome you to share in our piece of paradise. We welcome you to the Flamboyant Hotel & Villas. Enjoy Hospitality at its best. Petite Anse (Little Cove) Hotel and Restaurant is a pretty boutique hotel with spectacular views over the Caribbean Sea to the neighbouring island of Carriacou and the Grenadines. The hotel has just eleven rooms, each within a coconut’s throw of the beach with their own deck or terrace. The hotel has a restaurant, bar, swimming pool, jacuzzi and is set in a beautiful tropical garden.